Sometimes you want everything in the program to stop while a given condition is true. You can do this using a while loop. 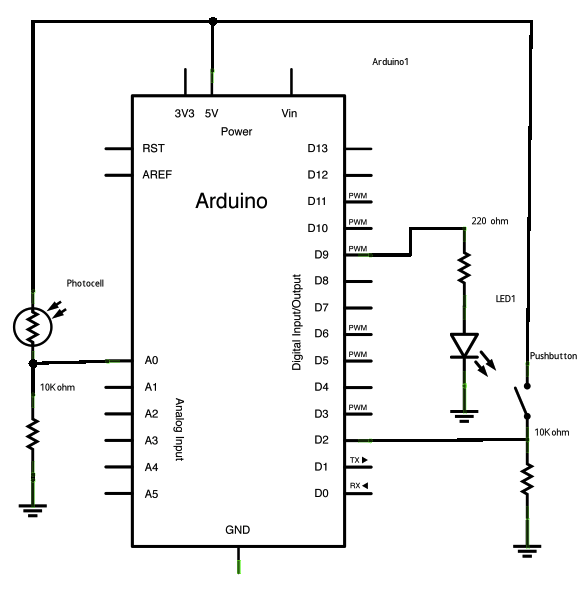 This example shows how to use a while loop to calibrate the value of an analog sensor. 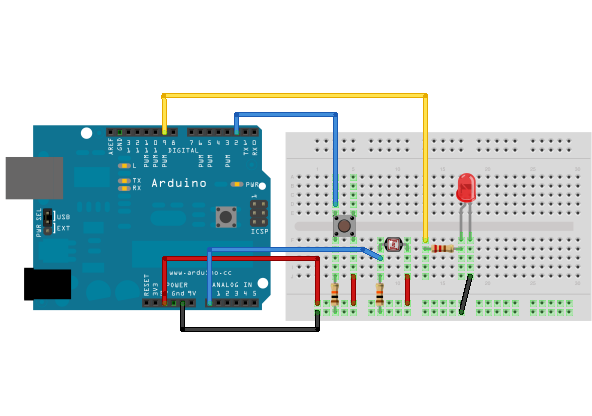 In the main loop, the sketch below reads the value of a photoresistor on analog pin 0 and uses it to fade an LED on pin 9. But while a button attached to digital pin 2 is pressed, the program runs a method called calibrate() that looks for the highest and lowest values of the analog sensor. When you release the button, the sketch continues with the main loop. This technique lets you update the maximum and minimum values for the photoresistor when the lighting conditions change. Connect your analog sensor (e.g. potentiometer, light sensor) on analog input 2 with a 10K ohm resistor to ground. Connect your button to digital pin, again with a 10K ohm resistor to ground. Connect your LED to digital pin 9, with a 220 ohm resistor in series. This example demonstrates the use of while() statements. While the pushbutton is pressed, the sketch runs the calibration routine. expected values from the photoresistor. This is a variation on the calibrate example.